Hemel Hempstead, 18 March 2019 - The construction group BAM has started planting 5,500 new trees in the Midlands to celebrate its 150th birthday. 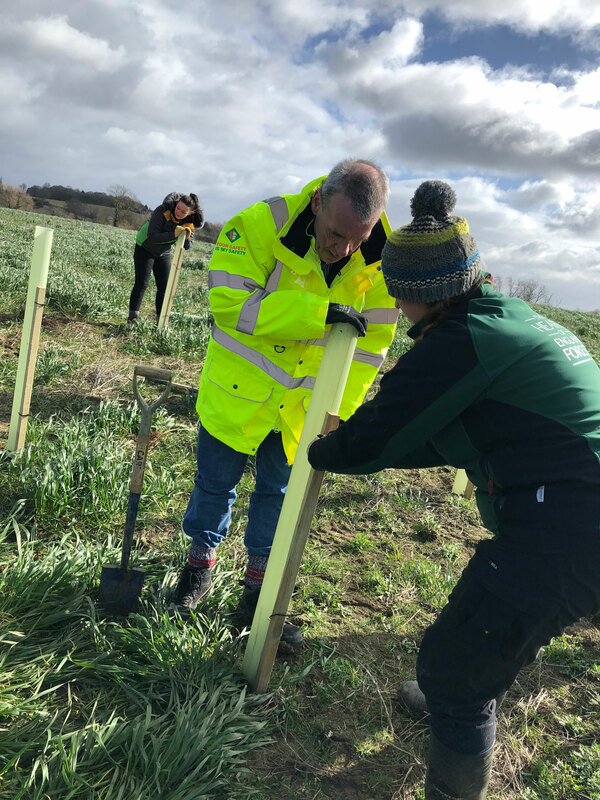 Twenty volunteers from the company - which includes BAM Construction, BAM PPP and BAM Nuttall - joined the Heart of England Forest team to plant the first 500 trees in a single day (Wednesday, 13 March). The remaining trees - the majority - will be planted in the November planting season. The green initiative is part of the Royal BAM Group's commitment to plant 150,000 new trees during the year. The majority of these are part of an international programme for countries such as Bolivia and Uganda with a great need for reforestation. The Heart of England Forest charity is creating a huge new woodland across Warwickshire and Worcestershire. The trees being planted are all native broadleaf trees and include oak, hornbeam, beech, alder and small leaved lime. Mr Ellis' company has been building in Worcestershire since 1932 when it created one of the early BBC transmitters in Droitwich. It is currently finishing work on historic Studley Castle.